We’re delighted to be sponsoring the Scottish Women’s Institutes culinary competitions at this year’s Gardening Scotland event, which takes place at the Royal Highland Centre in Edinburgh from 1st – 3rd June. 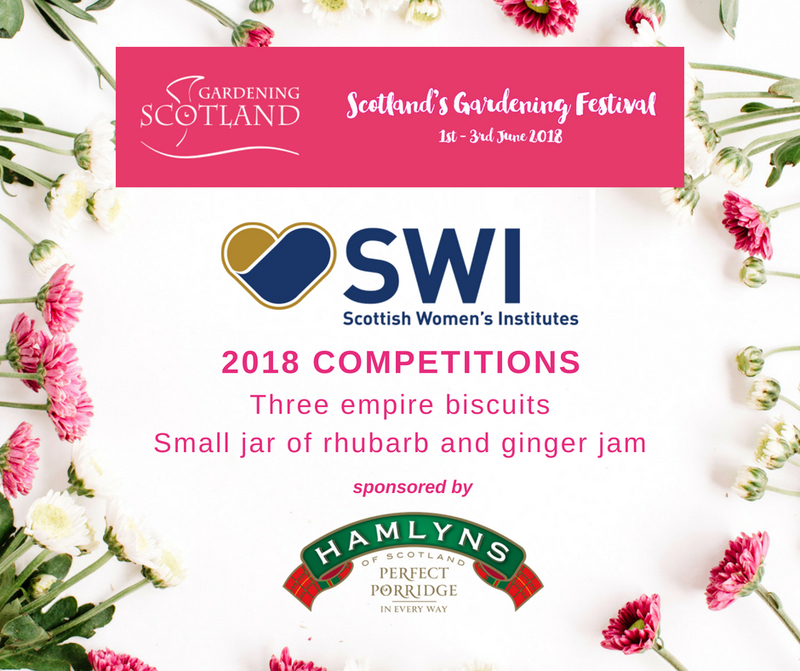 This year SWI members are being challenged to enter two competitions – three Empire biscuits and a small jar of rhubarb and ginger jam. The competitions are exclusively for SWI members at Gardening Scotland, and entries will be displayed at the show for 40,000 visitors to see. We have a fantastic Hamlyns breakfast hamper for the winner of each competition. Click here to visit the SWI website. You’ll find full information on Gardening Scotland here.